While many people put off home repairs or renovations until spring arrives, this isn’t always the wisest choice. Sure, it’s easier to get outside when the temperature starts increasing, and the spring and summer are generally the times when most of us get time off from work. But when it comes to repairing your roof, it turns out that the winter months are really the best time to handle it. Keep reading to find out why. When most of us think of nice weather, we generally don’t imagine the winter. But when it comes to standing up on top of a roof all day, winter weather in New Orleans is pretty much exactly what you want in terms of climate. Most roofs are black or a darker color that attracts the sun’s heat, making the roof an especially hot place to work in the summer. It’s not like there’s a lot of shade up on a roof, either. Depending on what materials you’re using, they can often make the weather even worst. However, the extreme heat of a New Orleans summer will be hard on more than just you or your roofer. It can also make materials difficult to handle, as well. In the winter, when temperatures are far cooler, roofing materials will still be effective enough to provide a satisfactory seal, but they will also be much easier to apply. The winter months are usually the hardest on your home’s roof. By handling repairs before winter arrives with its harsh conditions, you can spare yourself a lot of extra costs and maybe even your sanity. But just because winter’s already here doesn’t mean you have to wait till spring or summer to arrive in order to start addressing problems. In fact, that could be the worst decision to make. New Orleans has already seen two bouts of extreme winter weather. Both brought temperatures that dropped uncharacteristically low, and they also made for icy conditions. Neither of these is good for your roof’s integrity, which is why you’ll want to address them immediately. If your roof has been compromised in some way and more bad weather comes around, it could easily begin leaking or even sagging. As you can imagine, this will cause much greater and more costly repairs down the line. 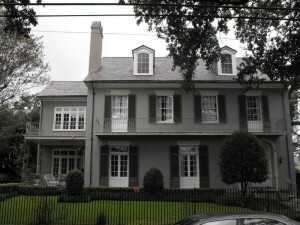 Despite the above logic, the winter months are still some of the slowest for roof repairs in New Orleans. While this may spell bad news for contractors, it easily works to your advantage as a homeowner. For one thing, it means you won’t face much of a struggle in getting an appointment with the contractor you want. This can be especially helpful if your roof is battling the type of damage we mentioned earlier. However, the winter months also mean that the repairs you need will most likely be more affordable than normal. In fact, many local contractors are probably even running specials in an attempt to drum up business. So, if you’re unsure whether or not your roof needs repairs, now’s an affordable time to find out. There are still plenty of months left in this winter, and even one more day of icy weather could be enough to cause serious damage to your roof. So, act immediately before a winter storm either puts your roof in serious trouble or makes repairs a necessity for countless others, too. Despite conventional wisdom, the spring and summer are some of the worst times to repair your roof, especially given the weather we’ve been having here in New Orleans. Whether you’re up to the challenge of handling matters yourself or choose the far safer route of calling in a contractor, the best time to do so is during these winter months.